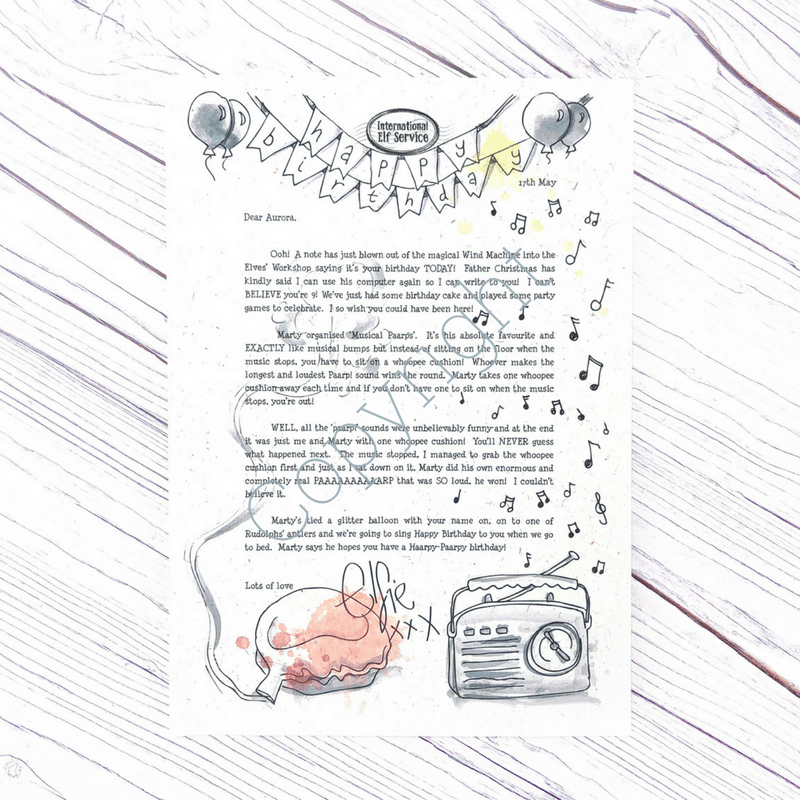 HOME > Products > Birthdays > North Pole Birthday Letters’ > North Pole Birthday Letter: Musical Paarps! 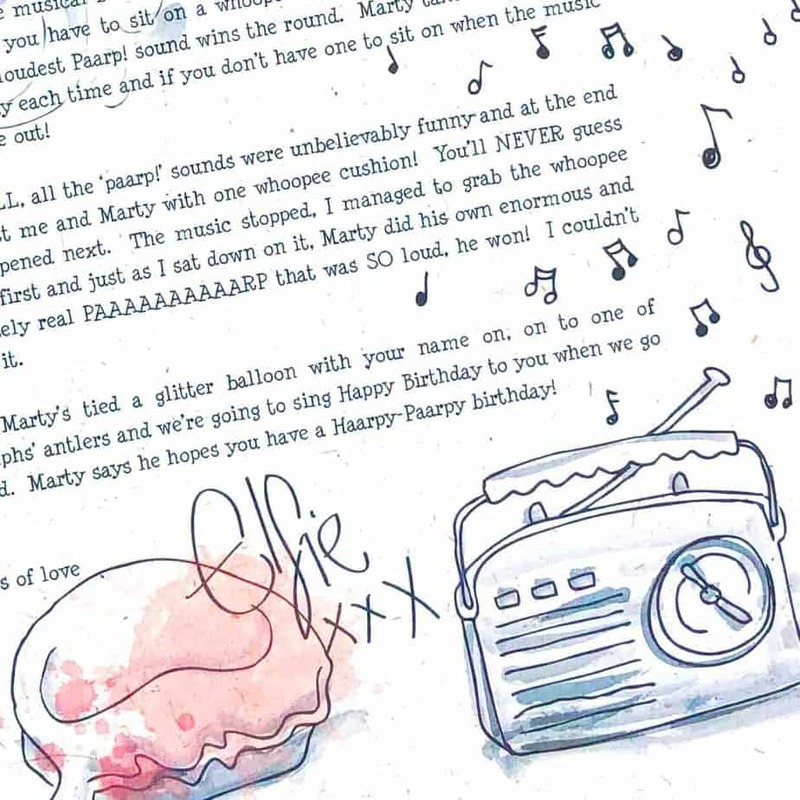 Home / Shop / Birthdays / North Pole Birthday Letter: Musical Paarps! Marty organises his favourite party game of Musical Paarps! Elfie and Marty are the last ones still in the game, the music stops, Elfie manages to grab the last remaining whoopee cushion and … Marty wins, but how? Our daughter was thrilled to find this on her birthday and is certain that elves are popping in to visit her. She also had a good giggle at the story! Ordered for my goddaughters Birthday. The letter arrived really quickly. 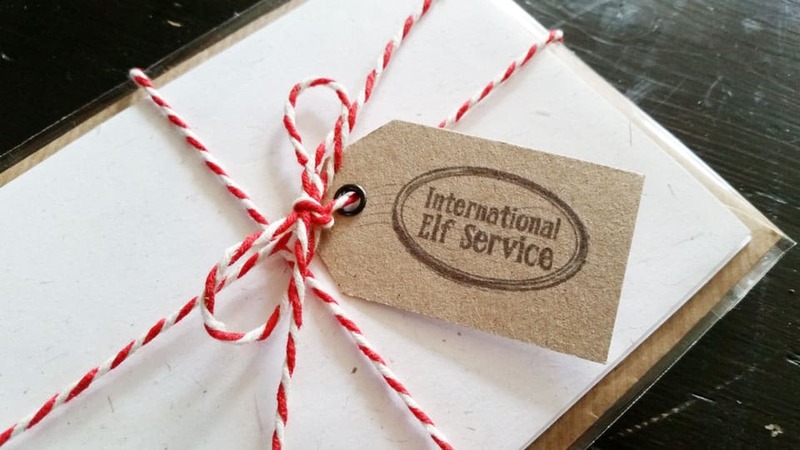 It was beautifully written on high quality paper, loved the candy coloured string around the envelope with a little tag from International Elf Service. My goddaughter was over the moon with it & couldn’t quite believe that Elfie had actually written to her. on her birthday. Will now be ordering the Christmas letters for her. Absolutely fantastic Service thank you for helping to keep Chrtistmas magic going a little longer. Ordered this for my daughter’s 5th Birthday and she absolutely loved it she was so made up that the Christmas elves had been watching her and know it was her birthday.We definitely order 1 for my son’s birthday in January. The delivery service is excellent too. Ordered this a while ago and arrived promptly as ever. Had to wait till today for it to arrive for the Birthday boy. 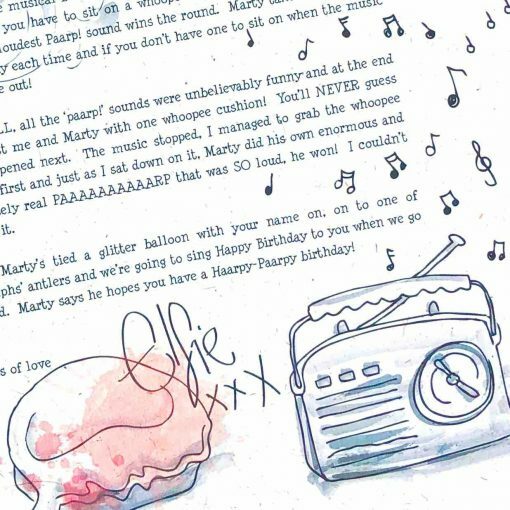 He was sooo happy Elfie had remembered about him and the letter had him laughing out loud at Marty! Such brilliant letters perfectly written for kids with beautiful illustrations. Christmas letters for this year have already arrived and I can’t wait for Elfie to start delivering them! Nathan’s elf joins him for his birthday celebrations so he loved seeing Elfie again and it was great to be able to have a letter this year that could accompany him. Nathan had a great laugh at the Elf’s antics as after all ‘parps’ are his favourite subject of the moment. A big thank you to Emily for adapting the letter to suit our circumstances so that Elfie could deliver it personally. Bought for granddaughter’s 7th birthday. 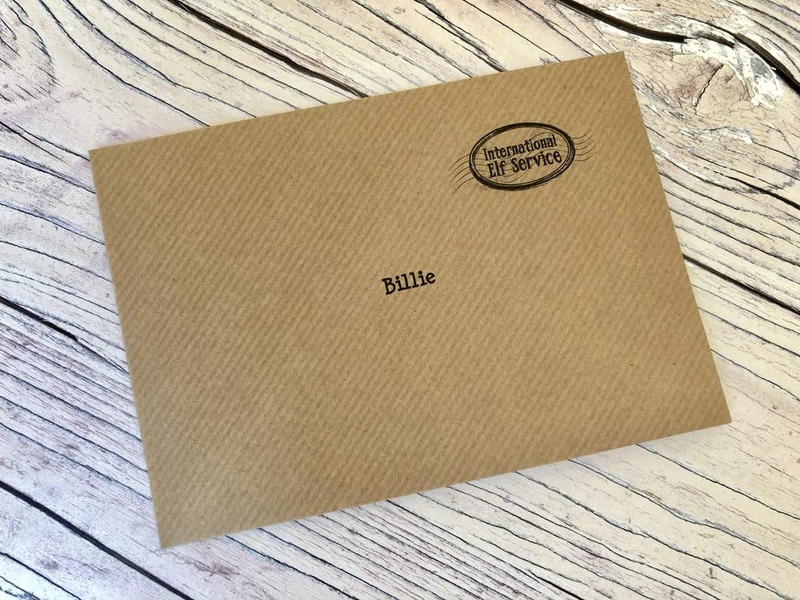 She was over the moon that Elfie had written to her for her birthday. She had the Christmas letters last year.